You quite literally never know what you are going to find when you set out to view the unexplored, and I have been learning that first-hand here aboard the E/V Nautilus. 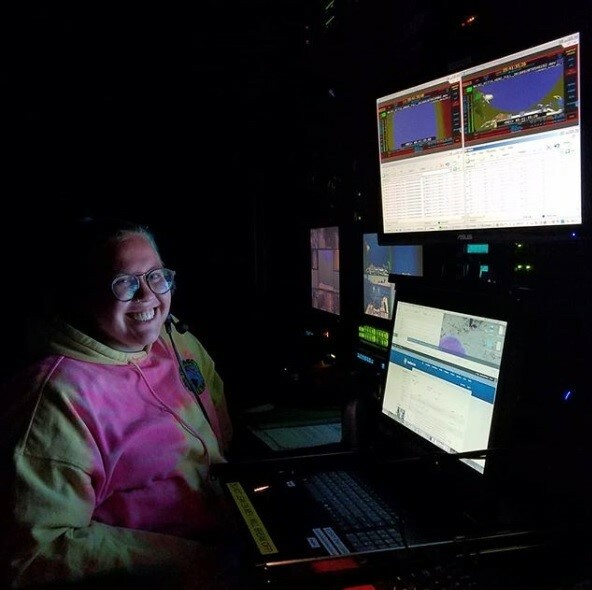 We still have lots of mapping and diving to go, so be sure to check out nautiluslive.org to watch our live feeds from the bottom of the ocean! 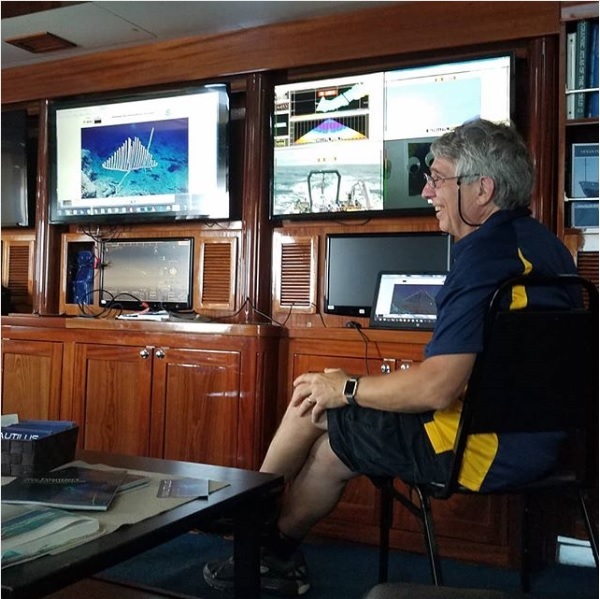 - Marine animal identification crash courses from prominent marine scientist and scientific lead, Dr. Chris Kelley. Dr. Kelly, though recently retired, was the director of the Hawaiian Underwater Research Lab (HURL) for many years. I am incredibly thankful for his willingness to share his expertise! - We are lucky to be joined on this cruise by Justin Umholtz, who works as an educator for the Papahanaumokuakea Marine National Monument and Visitor Center. Before departing from Honolulu, Justin and his colleagues presented us with a cultural briefing so that we all had a better understanding of the historical and spiritual importance of the area we are surveying. To learn more about this marine protected area culturally and ecologically, be sure to check out www.papahanaumokuakea.gov. 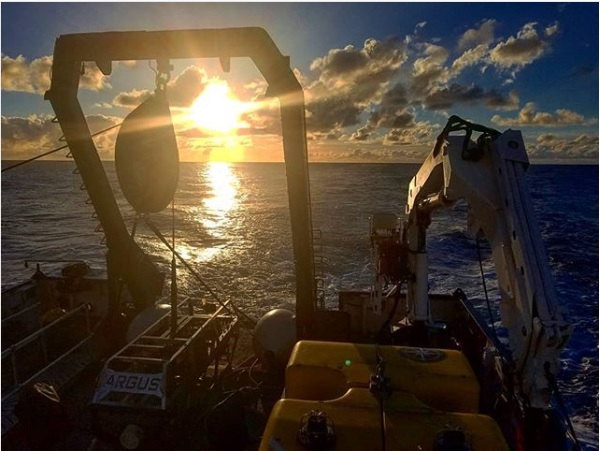 - Spencer Backus, an engineer from the NASA Jet Propulsion Lab, is also aboard this cruise to test out an entirely brand-new sampling device we call THE GRIPPER! For the last year, Spencer and other engineers in the NASA JPL have been working to design this gripper to be used to anchor onto rocks in the deep sea. The first dive of this expedition was also the first time this tool has ever been tested in the ocean at all. Spencer and his team will use the video footage taken during these dives to improve upon the design for future uses. You can read more about Spencer and his work aboard E/V Nautilus here: nautiluslive.org/people/spencer-backus. - THE GULPER EEL! If you have been on the internet the past few days, you may have already met one of the deep sea animals we observed on our dive to the unnamed seamount #7. While completing a geological and biological survey, an animal appeared in front of the cameras that left scientists stunned! At first we did not know what we were looking at, and as the creature twisted and turned, it revealed itself to be the elusive gulper eel. This eel takes large amounts of water into the pouch around its mouth as a method for feeding. Watch the transforming eel for yourself here on YouTube. For more day to day updates, be sure to check out both @nautiluslive as well as my personal Instagram @snailix. You still have plenty more opportunities to watch this exploration live with us on nautiluslive.org. We will be diving just about every day for the next week, and you can get live dive updates from the @EVNautilus account on Twitter. Alix works as part of the Museum Programs and Outreach Initiatives team and performs live science demonstrations, creates curriculum for use on the museum floor, and helps to oversee educational volunteers and materials. Her favorite duties include overseeing the anatomical specimens such as horse hearts, cow eyes, and human brains.